To know your city is to love your city, and Green Spiral has long known Saint Louis to be home to some of the most amazing parks and playgrounds in the country. As the world becomes a more hectic place, nature places and quiet oasis will play an increasing role in the identity of this Great City. We have many treasured parks in Saint Louis, but the crown jewel of parks is certainly Forest Park, recently named the #1 Best City Park in America: https://www.thrillist.com/travel/nation/the-15-best-city-parks-in-america. World class destinations like the Zoo, Art Museum, History Museum and Muny are easy to find in Forest Park, but for those of you looking to get off the beaten track, here’s a short loop we’re calling the “Crawdaddy Walk”. It’s a two hour excursion at a very leisurely pace, suitable for all ages, including the stroller set. Park and meet your playgroup at the Inclusion Playground next to the Visitor Center, and be sure to pack your own water, unless you like paying $2 for bottled water. Know that the playground is the first inclusion playground built in the city and there is a secret pollinator’s garden nearby. Begin your walk between the parking lot and the tennis courts and head for the Mary Orr MacCarthy Bridge, or the “Love Lock Bridge”. On your way, you can have kids pick clover; tie them together to make some clover crowns! Know that there is a famous bridge in Paris, the Pont des Arts, which has grill-work laden with locks. Lovers carve their initials into padlocks, affix the locks to the bridge, and throw the key into the river, thereby sealing their love forever. Looks like we now have a “Love Lock Bridge” in Forest Park, so if you’re a lover, go ahead and affix your lock, it’s the “good kind of trouble” to get into. Continue walking along between the creek and the Boathouse, an area we call “Cottonwood Corridor”. If you travel through in June, the cotton puffs will be floating through the air like snow; see if kids can catch some cottonpuffs. Stop and sample the service berries growing on bushes to your right. Service berries are important bird food, and edible for humans too. The service berries ripen in early summer, and get their name from the “olden days” when the ground was too frozen to bury the dead. When the service berries came ripe in late May, the ground was warm enough to excavate a deep hole, and a service could finally be performed. Thus the name” service-berry. Thank you Bellefontaine Cemetery for the story! “Crawdaddy Cove” is a great place to fish for crayfish. Bring a paperclip on a string, and fix some cheese to the open “hook” of the paperclip. Drop the paperclip in the water, and when a crawfish clamps on to it, hoist the little feller out of the water. We forgot our paper clips, but did find a dead crayfish. By the way, Missouri is a hot-spot for crayfish biodiversity, due to our plethora of magnificent spring-fed rivers. “Crawdaddy Cove” is a great area for a family picnic, and you can almost always find frogs, turtles, minnows, green herons and egrets. This is the best place for spying wildlife with kids that we’ve found in Forest Park so far. Remember to bring your hand sanitizer and sun protection. This is a wonderful destination for a picnic dinner in the evening, thus avoiding the “witching hour” at home. On the official map, this place is really called the “Post Dispatch Lake Riffles”, but we think “Crawdaddy Cove” is more romantic. When you are ready to depart, walk towards the main road, and over the “Bridge of Swallows”, which has lots of swallow nesting under it. Continue walking past the Dwight Davis Tennis Center, and ultimately back to your car. This is about a two hour adventure, conducted at a leisurely pace. Many thanks to talented nature guide Angela Wildermuth for scouting and leading this adventure with her Spring series of adventures called “Urban Wild Adventures”, which takes families on nature hunts at parks and playgrounds all over the Saint Louis area. Count how many creatures you can find on your walk and have the kids make a note in a journal you keep in the car. Come back to the Visitor Center someday and ask for the free ipod walking tour that teaches you about the history of Forest Park, and walks you past the Art Museum and Picnic Island. It’s very well done; many thanks to the Trio Foundation. Comment below with your observations and improvements on the map and adventure for the benefit of others. Love your City. Get out and get to know it. 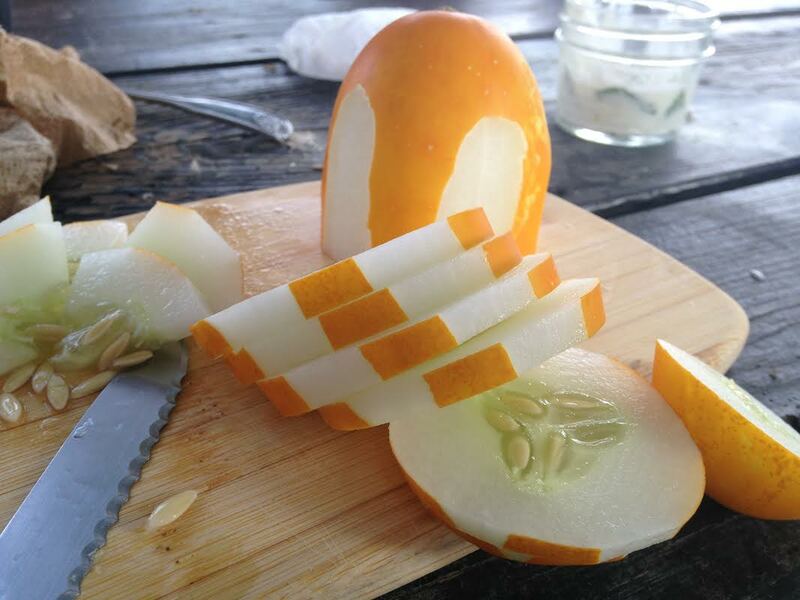 To know it, is to love it. It’s getting harder and harder to find family farms to visit, but it can be done, and here’s one way to do it. 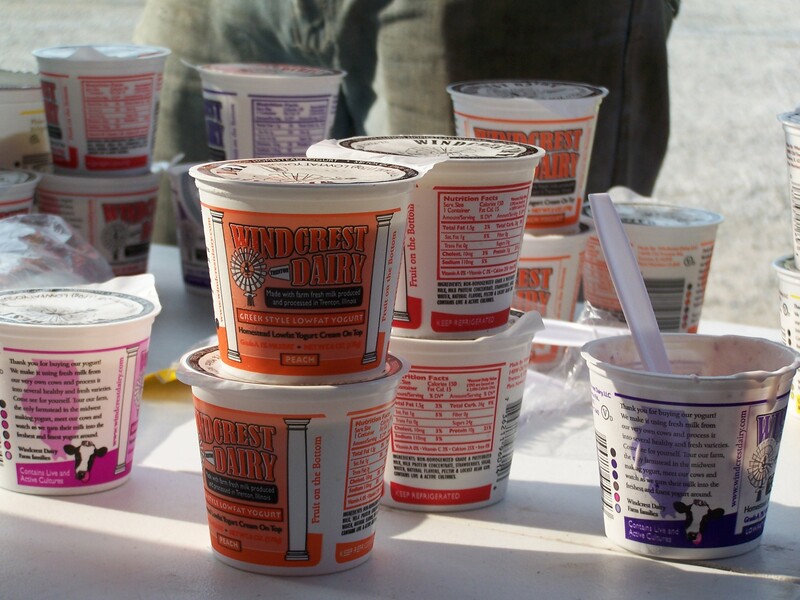 You can visit Windcrest Dairy, the only makers of homestead yogurt in our area, conveniently located just 40 minutes east of the Arch, in Illinois. Here’s Farmer Kurt, third generation farmer, with a broken rib. Thank goodness farmers don’t stop farming just because they have broken ribs, or because it’s frightfully cold, or because it’s blisteringly hot outside — because we love to eat! Call up Farmer Kurt anytime, and organize a field trip; afternoons are best. Here’s his phone number: 618-910-346four. Do you know this farmer? Farming is hard work, and harder still due to economies of scale and “Get Big or Get Out” farm policies. 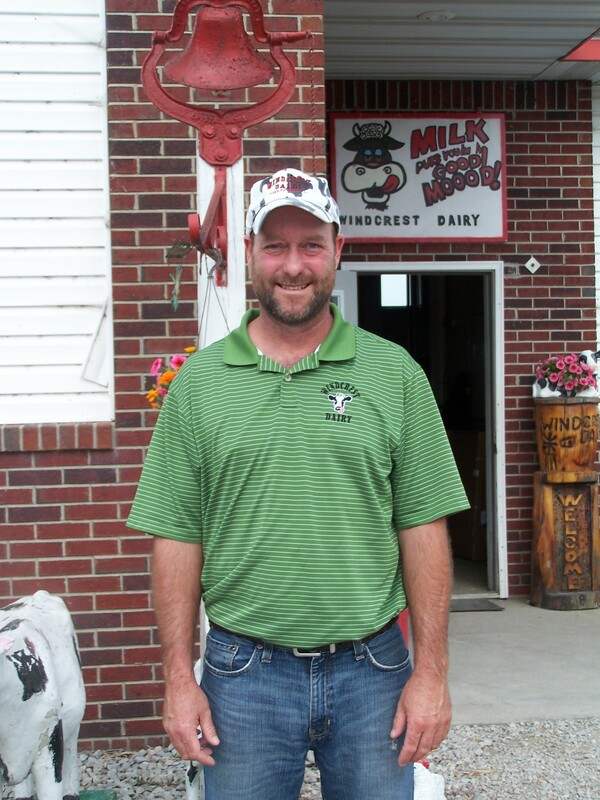 Milk is a commodity, so bigger producers have a competitive advantage over the little family farm, yet Windcrest Dairy has found a way to stay in business by making yogurt. When you go, ask them what “homestead” yogurt means. Small farms are little businesses, and thus they need to be very entrepreneurial; making yogurt is known as a “value added product”, and has made a big difference for this family-owned farm operation. You can buy Windcrest Dairy yogurt at Schnucks, Straubs, and local foodie establishments; Wash U uses Windcrest Dairy yogurt in their yogurt parfaits. 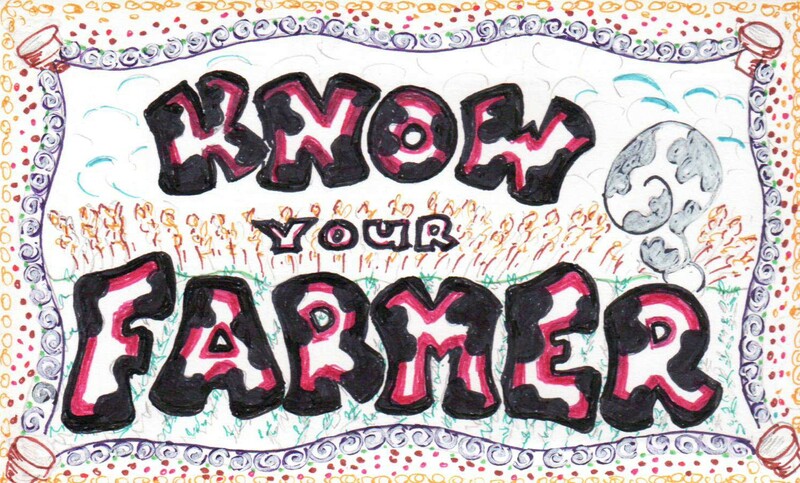 It’s nice to “Know Your Farmer”, and it’s important know where your food comes from. 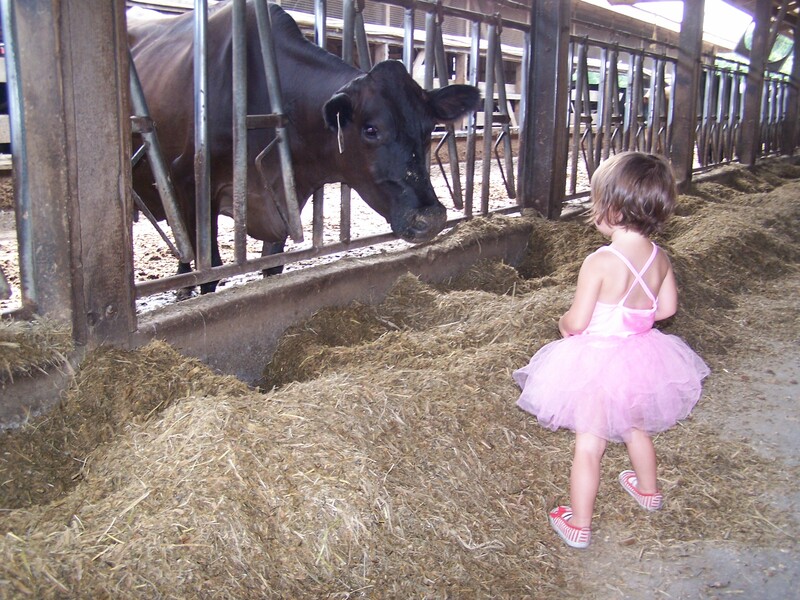 Heck, do you think a factory farm would let us visit their operation with little girls in tutus? If you visit the farm at 4:30, you get to see the cows get milked at 5 pm. 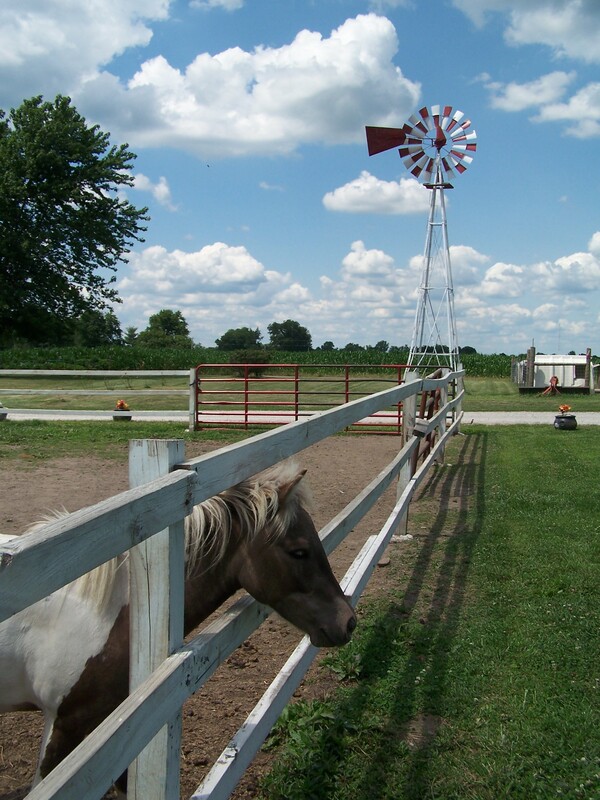 Otherwise, there are lots of cows, pigs, ducks, geese, donkeys and miniature horses to pet or maybe feed. 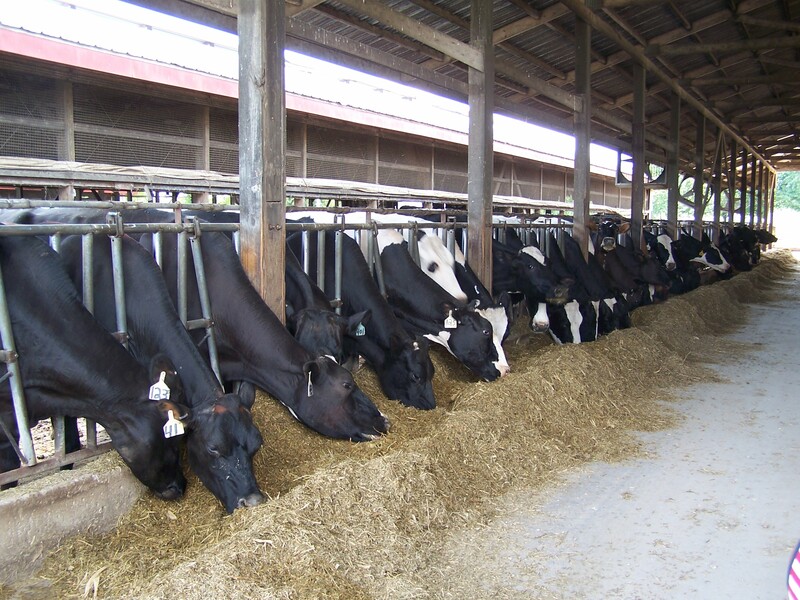 Depending on the composition of your group, ask to milk a cow! 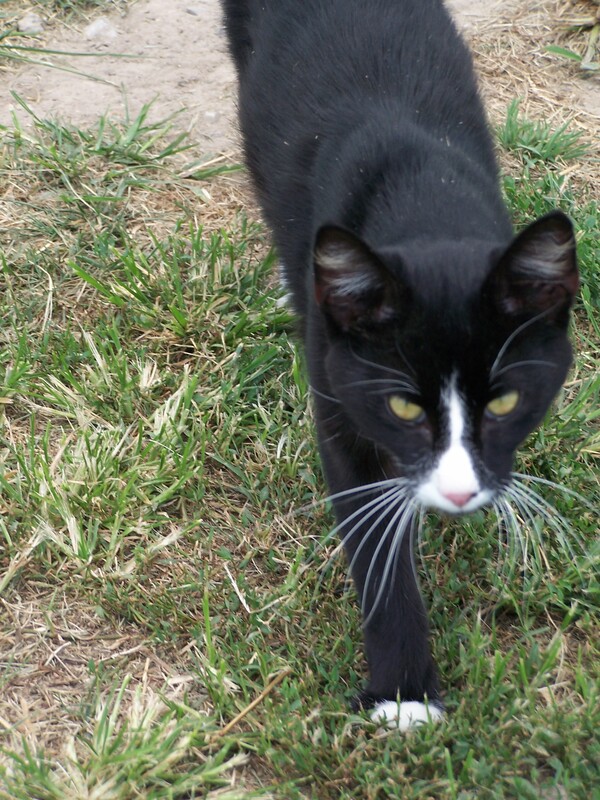 Of course, the stars of the show somehow turn out to be the barn cats. And sometimes toads. 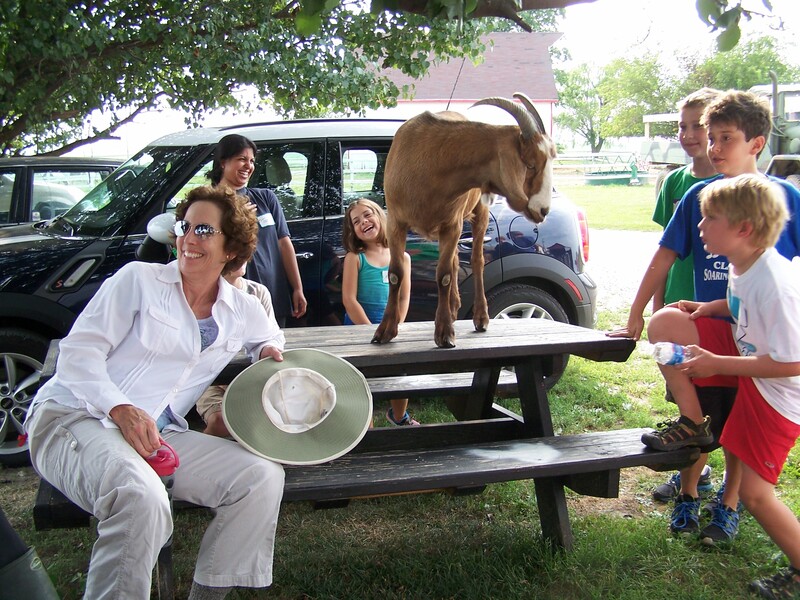 A bit of mischief and misadventure always seems to present itself on Green Spiral field trips, as these are true adventures and not sanitized experiences; thus we were surprised, but not surprised, when a big goat jumped up on our yogurt tasting table. Don’t park under the shade trees, as tempting as it might be, unless you want a goat on the back of your car, reaching for the tasty leaves. Needless to say, goat hooves are not kind to car paint, and I feel badly about that. Hey, it’s a farm! What else can we say about that? Green Spiral brought about 34 people, which was just about the right number, although a bit crowded in the yogurt making room. A better number might be around 24. 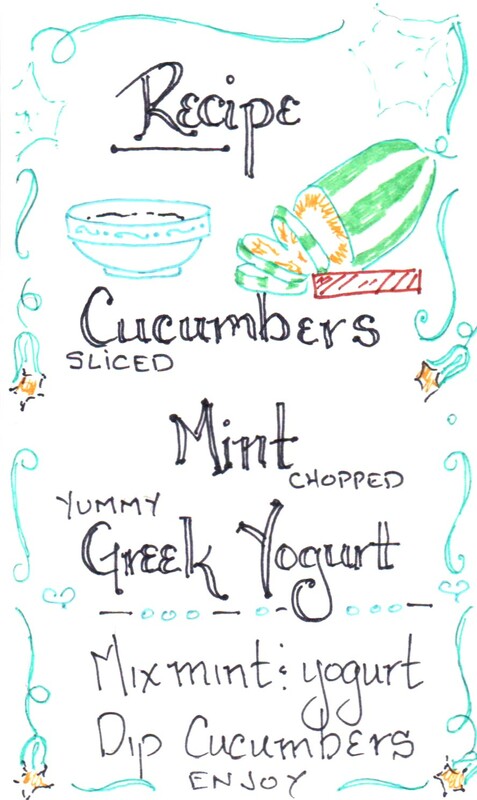 Be sure to ask what makes Greek Yogurt different. One answer is that it has more protein, which makes it a “superfood” for growing kids. You can also just show up at Windcrest by yourself or with a small family group, as dairies are always open, and cows still need to milked, twice a day, even on holidays. There is a “store” where you can buy yogurt, and even buy frozen yogurt not available at your local grocer. Remember to bring your cool pack or cooler for transport. An indoor restroom facility is available on site. This is a fabulous field trip for any age and you can pretty much wear anything you want, including a tutu. Every adventure teaches us something new, and from here on out, everyone is encouraged to wear batman capes and tutus to future Green Spiral field trips! You’ve been on the field trip, and now here’s your homework! It’s important to take time to reflect on your experiences and integrate what you have learned into your framework of understanding. You can respond in the comment section below. Got milk? 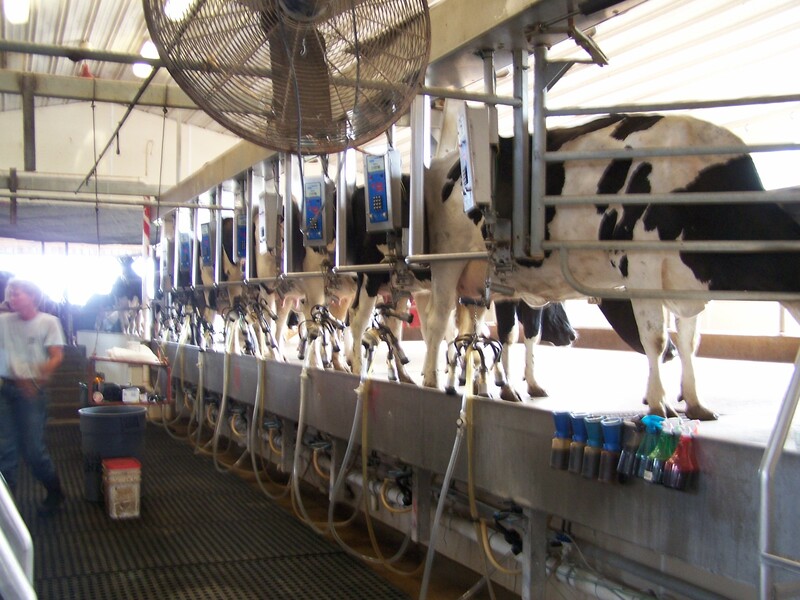 Do you have a basic understanding of how milk gets to your table? Does it matter? What if you lived in China? Would it matter then? Ask your own special magic question. You will know you have found the magic question when you just have to find out the answer! Inventory books in your personal, school and public libraries. Do they include The Omnivore’s Dilemna by Michael Pollan or Animal, Vegetable, Mineral by Barbara Kingsolver? 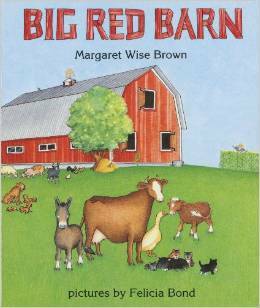 Do your children’s books present an accurate picture of how food gets from farm to table? Ask children where milk comes from. Then ask them what cows eat. Write down funny answers for later. Know your farmer! 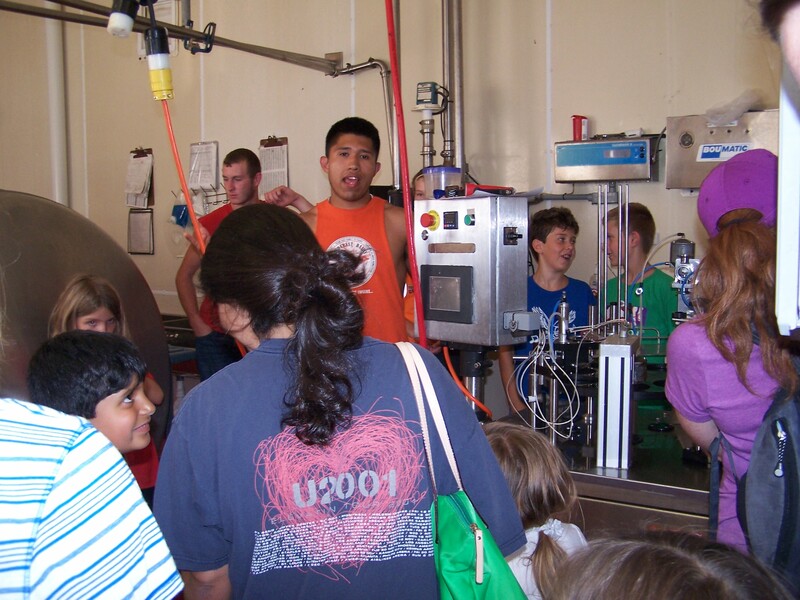 Visit a local farm, or better yet, lead a field trip to a local farm! Take kids. Buy Windcrest Dairy yogurt, if you live in the Saint Louis area. Vote! Amendment One is a constitutional amendment that gives the courts, not the voters, the authority to decide about future farm practice disputes. In general, this is probably a long term win for those with deep pockets, such as puppy mills and factory farms. For more, here’s a non-partisan link to Ballotpedia.